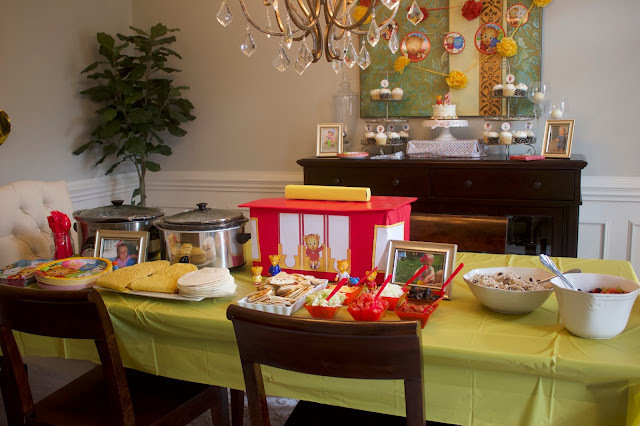 We celebrated Madeline turning two with a Daniel Tiger themed birthday party on her actual birthday last Saturday. 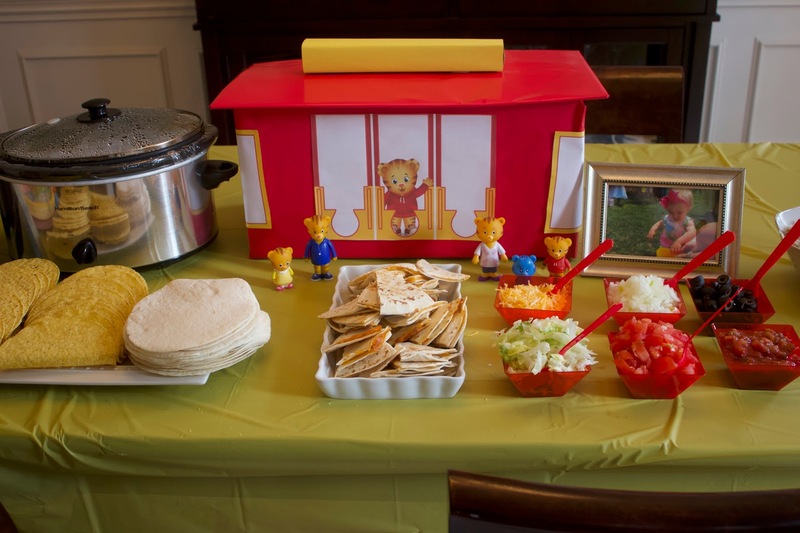 Daniel Tiger has been one of her greatest loves since she was around nine months old so it was fun to bring this party to fruition to celebrate her special day this year. Last year I went a little overboard with decorations. I still think it was the absolute perfect first birthday party. (Check it out here). But, this year I decided to not go quite as crazy, even though I do love a good party. I made two little table top trolleys using the patterns on the PBS website and pouffed up some tissue paper Pom Pom poufs for the Dollar Tree. 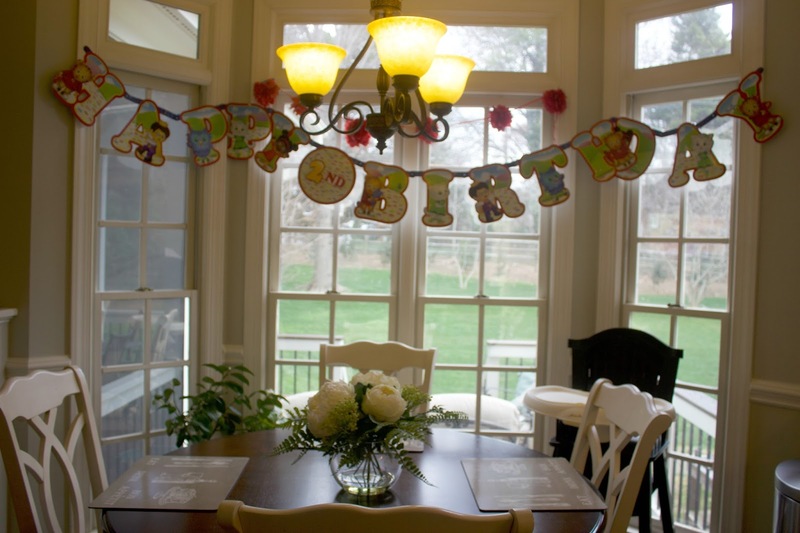 The Pom Pom garlands are also from the dollar store. I ordered this party set for paper goods from Amazon and this set of balloons. This kept things SO easy because it was all delivered to my front door. The fireplace banner is from Etsy here and I love it. I moved it up to Madeline’s play area after the party. 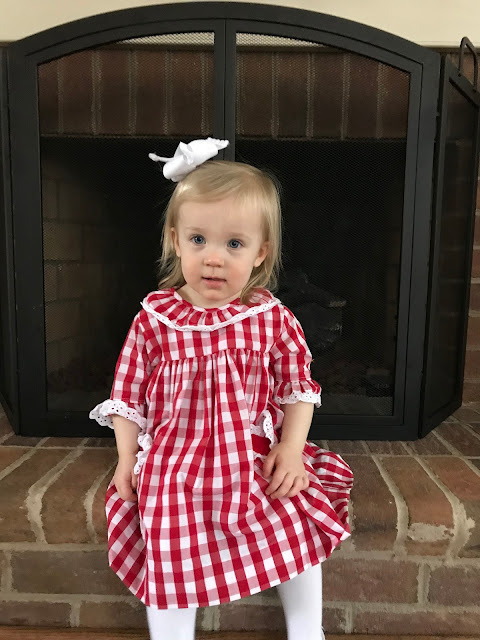 Madeline's little personalized Daniel Tiger dress is also from Etsy and you can find it here. A sweet local mama passed down the “Happy 2nd Birthday” banner but it is also available here if you have a Daniel Tiger lover of your own. 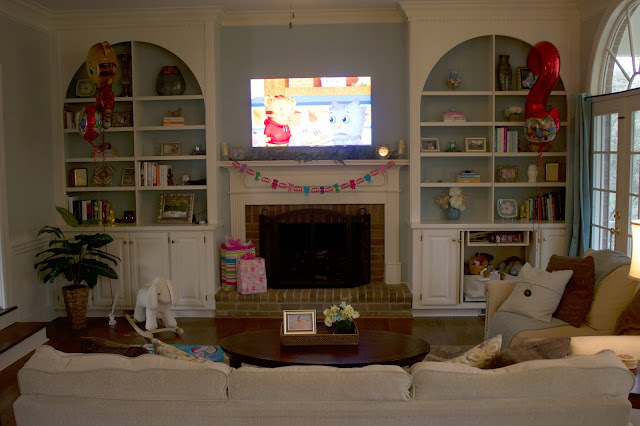 I set Madeline’s Daniel Tiger figurines around for a few extra little touches, too. She has this set, this set, and this one. I made guacamole (my recipe here in a super old post), picked up queso from Moe’s, and set out a jar of salsa for appetizers. 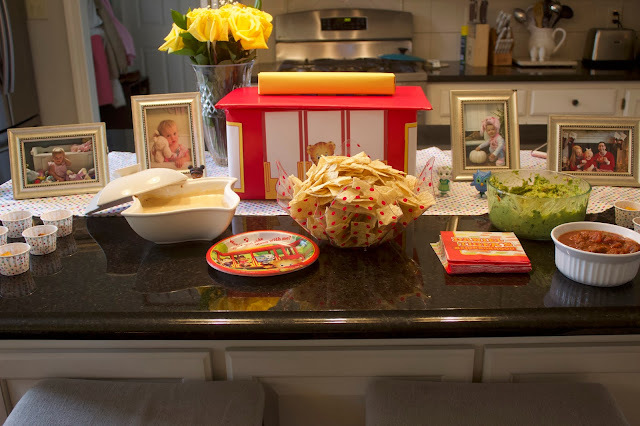 And goldfish and mini pretzels for the kids, of course. I also served a taco bar. I used this recipe for the beef filling and made pulled salsa chicken. I made cheese quesadillas for the kids, cilantro rice and beans, and fruit salad. 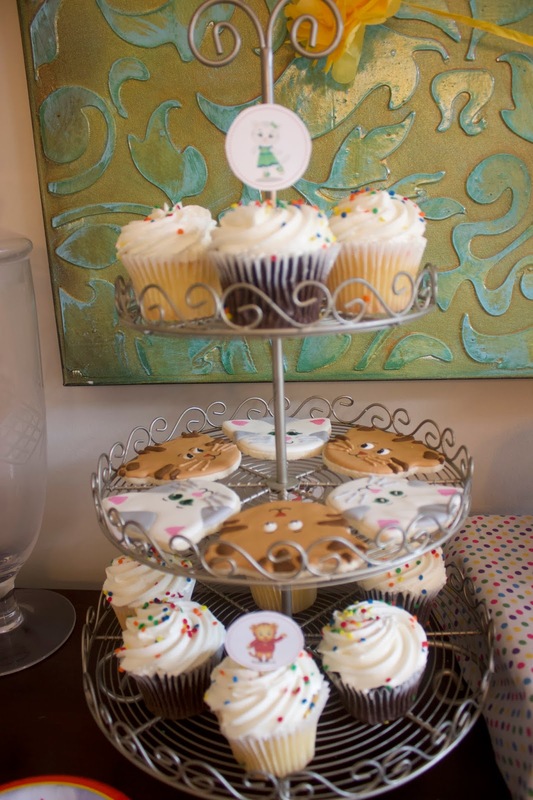 For dessert, I ordered a mini cake and cupcakes from Publix just like last year and some fun cookies from my favorite cookie gal. 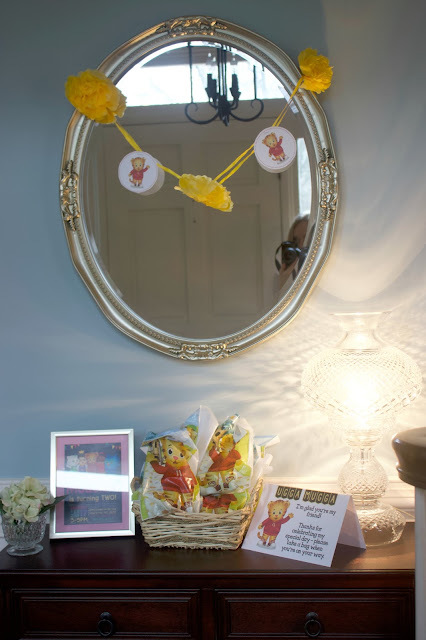 It was such a fun party and Madeline and her little friends sure did love all the Daniel Tiger decor. 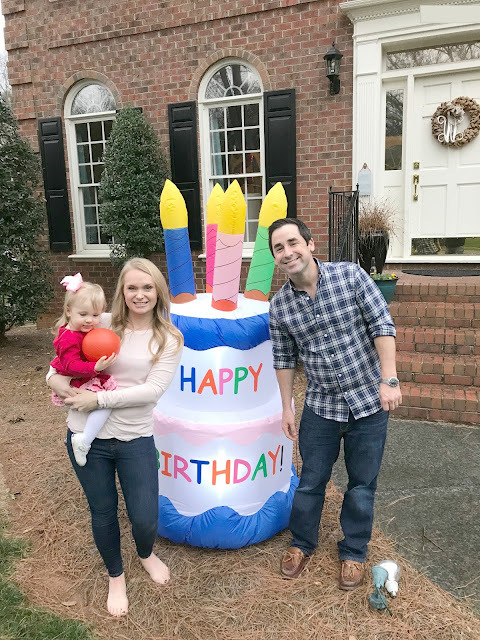 We loved celebrating our girl and when I tucked her in for bed that night she looked up and said “Mommy, I so happy!” which made it that much more special for me, too. We love you sweet girl! Happy Monday! I am sitting having my Monday morning coffee with a side of Daniel Tiger this morning. 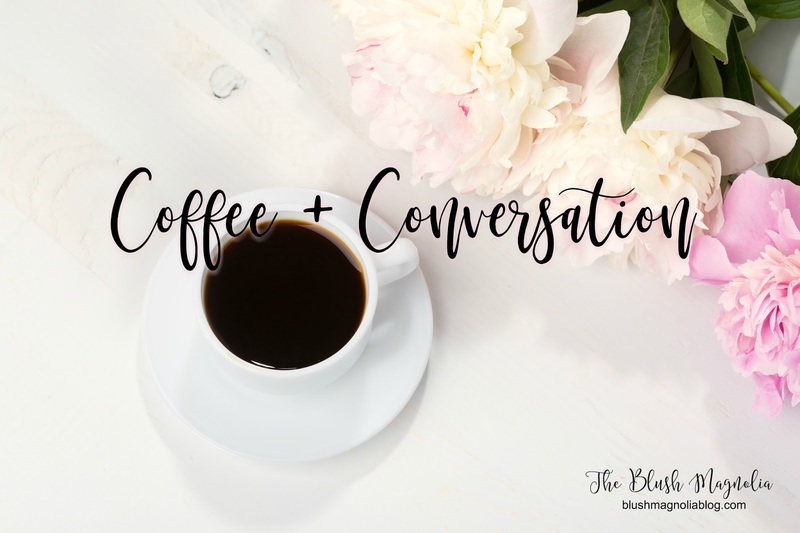 If we were having coffee today, instead, I would have lots to recap and share from our busy week last week. Madeline turned two last Saturday. We started the day with a pancake breakfast out then came home and I got ready for her party. It was a great time with all of her best little friends and I'll recap it a little more later in the week. 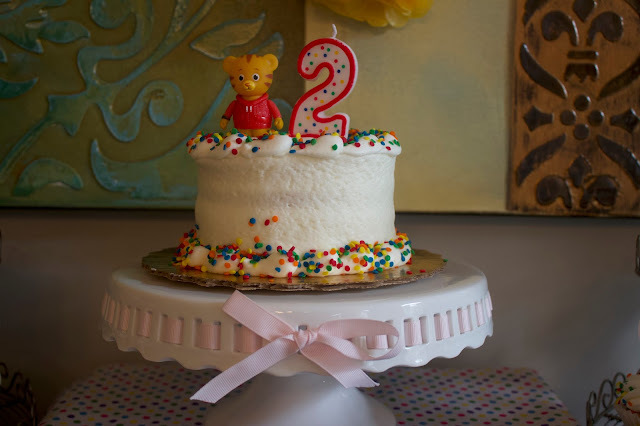 Our sweet Madeline turns two years old tomorrow! The time has flown by just like everyone always says it will. She has turned into such a little person lately and Corey and I both said, when looking at this photo I snapped of her on Wednesday, that she all of a sudden looks like a little girl and not like a baby anymore. She is a combination of strong-willed and stubborn with sweet and affectionate. She is all over the place - running, skipping, and jumping and speaking in complete sentences all of a sudden. Counting to twelve and singing her ABC's. The time has definitely passed in the blink of an eye. Happy Monday morning! If we were having coffee today, I would share that we had quite the busy weekend considering we intended to do absolutely nothing! 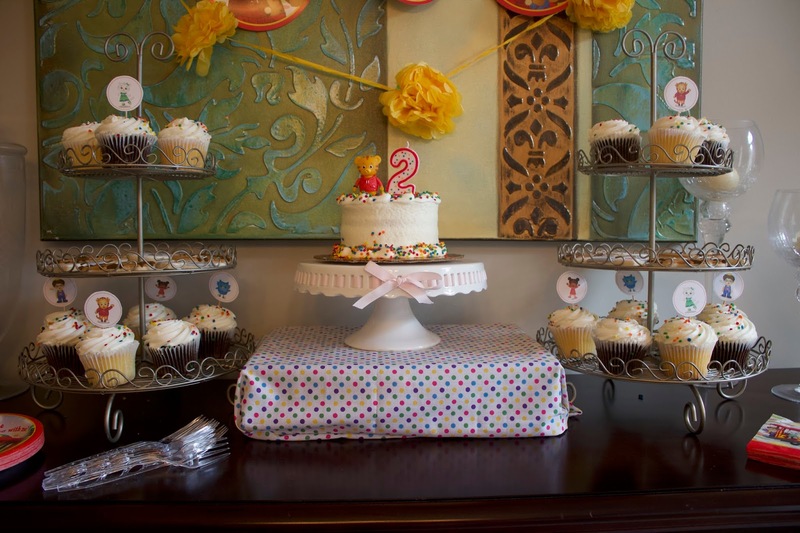 Madeline and I ordered her birthday cake and cupcakes on Friday afternoon. 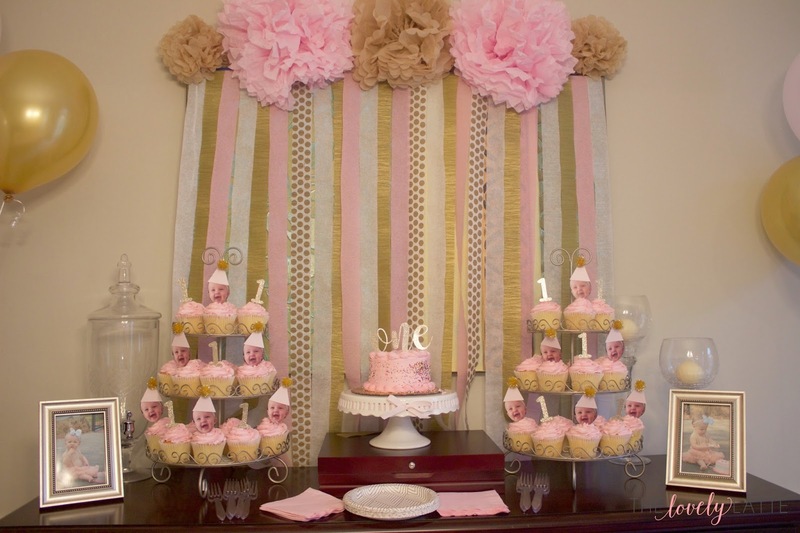 My mom always made mine so I felt really conflicted not doing it myself but I am hitting the easy button for her party this year, especially since this week is already packed so full. I shared this super easy, healthy meal earlier in the week on Instagram. As much as I love to cook, there are times that I am looking for something quick and simple to feed our family. I don't like to do highly-processed or frozen foods unless we are in a real hurry so this has quickly become a favorite dish and could easily be made in larger quantities for weekly meal prep. To make this dish, I start by roasting my vegetables. Roasted vegetables are my absolute favorite! I just love the flavor. For this meal, I like to use onion, zucchini, mushrooms, and grape tomatoes but you can honestly use any vegetable that you like. 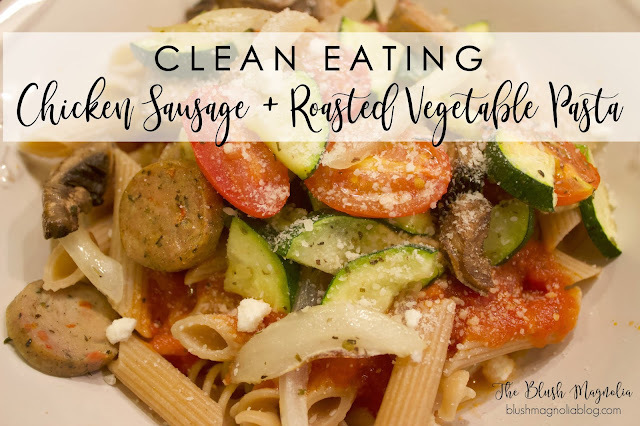 I toss my veggies in a little olive oil and give them a good sprinkle of sea salt, garlic powder, and Italian seasoning. I once read in a home decor magazine that you should have something living in every room - whether it be a pet, a plant, or freshly cut florals. I am such a fan of having fresh flowers in our home but at the same time I just can't bring myself to purchase them weekly. It just seems like such a frivolous expense at times not to mention having to care for them along with the rest of our household! 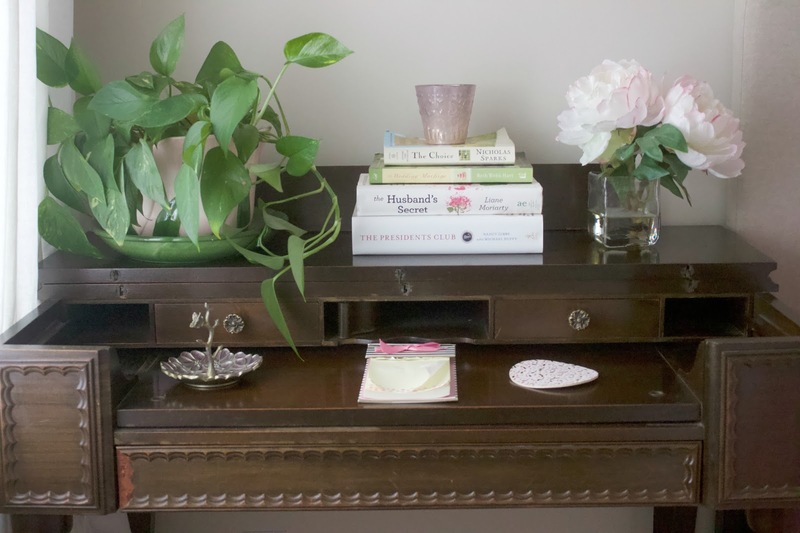 Over the years, I've found a number of faux arrangements that I really love as part of our decor. 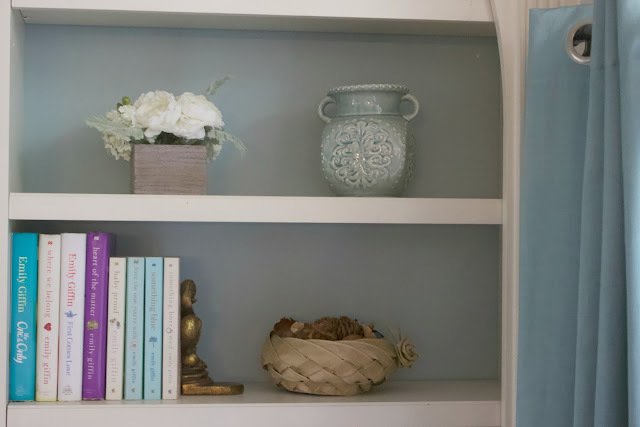 This little arrangement came from Target years ago and is on the built-ins in our living room. I love the softness it adds and its definitely nice that I never have to climb way up there to water it. I love arrangements that mix together a variety of different textures in a fun vase or planter. I think these pink peonies complement the living plant on the left so nicely on the antique desk in our guest room. I have a couple of this-sized arrangements for the bedrooms in our house. They're just a nice little something to fill an empty space with a pop of color and I really like that they have the acrylic water for a more natural look. I think that even faux florals really add some cheer to a space. 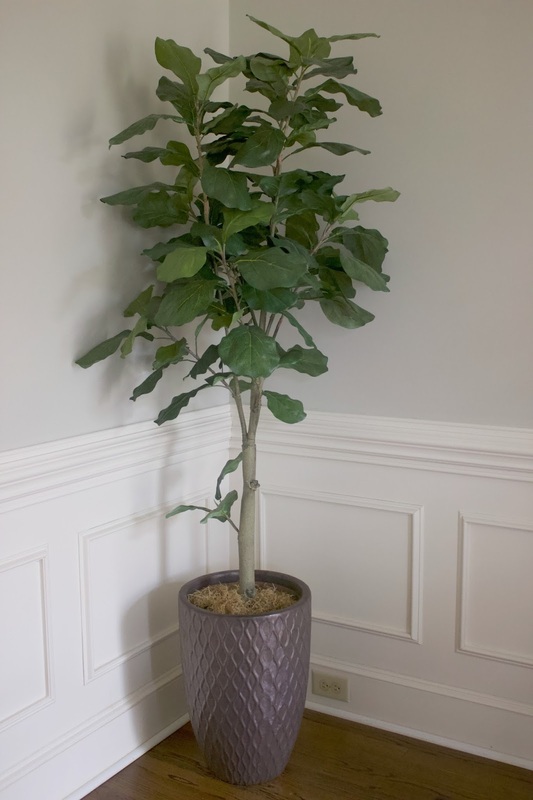 Probably my favorite faux plant in our house is the fiddle-leaf fig in our dining room. I wanted one for so long and had seen some truly beautiful natural ones at a couple nurseries in town but the space that would be perfect for it didn't get the right light. That is probably my favorite thing about sneaking artificial plants into your decor - you can definitely get away with less than ideal conditions. Speaking of hard to care for plants, I have never been any good at keeping orchids alive. I've done my research and watered them diligently with ice cubes to no avail. Yet, I think they are so pretty and love how they can add height to a space. They also seem to be such a graceful plant. This one is in our bathroom by our soaker tub. 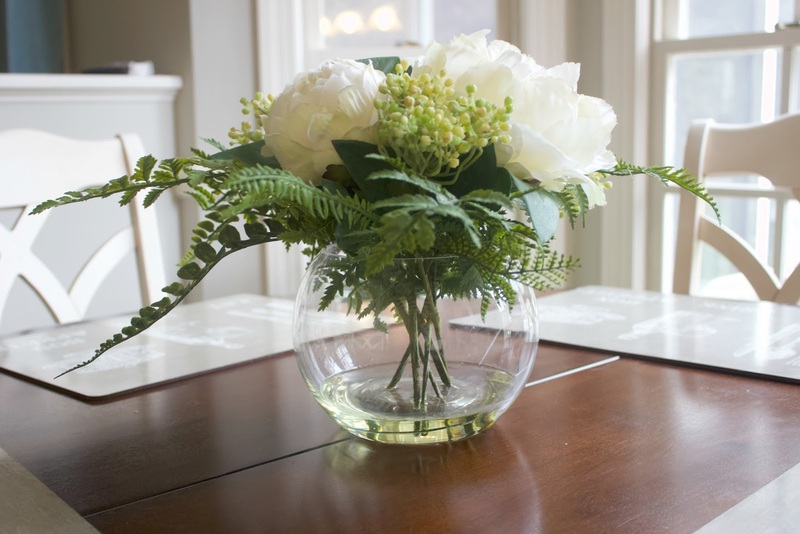 This peony and fern arrangement is my newest addition and I have it on our kitchen table. It was gifted to me by Silk Plants Direct and I have been so pleased with its quality. I was a little skeptical when they contacted me asking to review one of their arrangements because I usually purchase decor like this from HomeGoods so that I can see and touch it in person but I had been looking for something new for this space for the longest time. It has the acrylic water that I like for a more natural look and I love the combination of the peonies and ferns. It feels very Southern to me. They have hundreds and hundreds of arrangements to choose from if you are ever looking for something hard to find in a very reasonable price point and it arrived very carefully packaged. When the weather starts to warm up, I like mixing in a few fresh blooms in our kitchen, dining room, and in a vase on our coffee table. 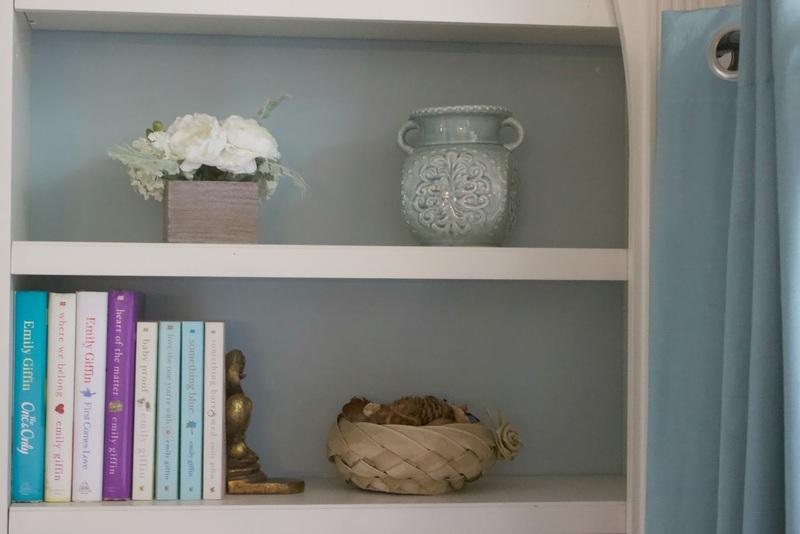 Do you like decorating with florals in your space? 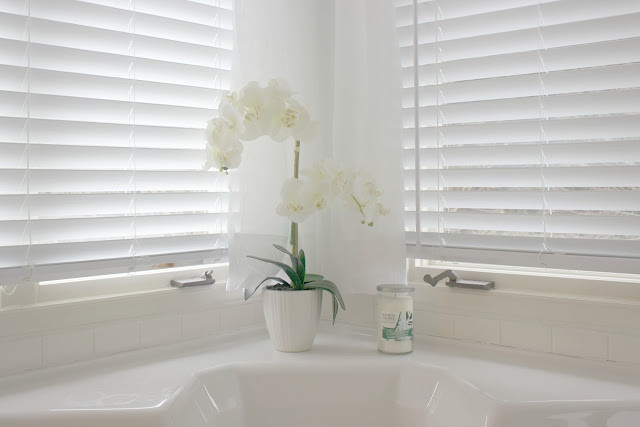 Do you stick to the real deal or add in a few faux arrangements to "fake it?" Thank you to Silk Plants Direct and Commercial Palm Trees for sponsoring this post. Who needs an extra large cup of coffee this morning after staying up too late to watch the Super Bowl last night? Or better yet - who made it through to watch This is Us? No spoilers welcome around here, please, because yours truly did not stay up that late and I have a date to watch it on DVR with my husband tonight. 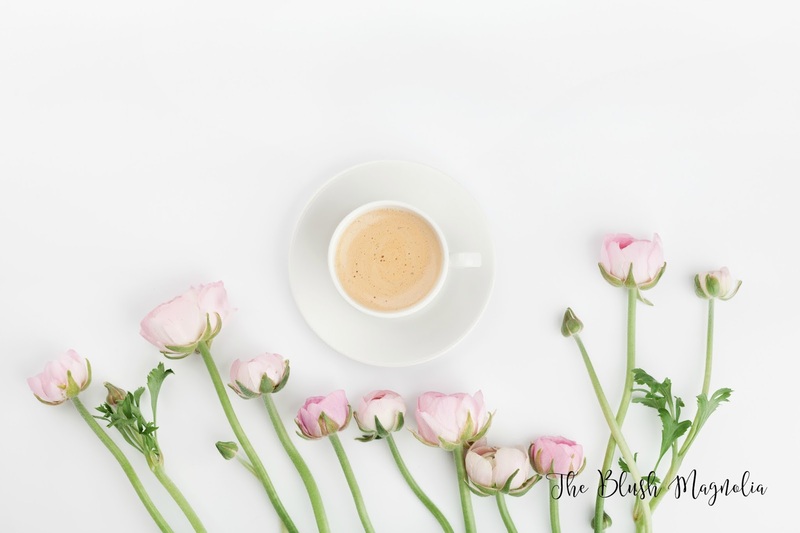 I can't thank you all enough for your kind words on Friday's post about my little hiatus from blogging and my rebrand. You all really know how to make a girl feel good. Just a bit of house keeping - if you're new around here or if you write a blog that isn't listed in your Google profile, I'd love to read along. Just leave your URL in the comments so that I can find you. We had one of those weekends that was jam packed full of fun. I don't feel like I got any rest but I love that it creeped by super slowly. Those are the best. It started off on a super high note when Corey called to say that he'd rearranged a meeting and was going to be able to come home a day early from his travels. He ended up having a busy morning in the office but was able to come home late in the afternoon and take Madeline and I out for a little dinner date. This time of year can be really busy in my husband's job so it was a nice little surprise to get the extra time together when we originally thought he wouldn't be getting home until late Friday evening this week. If we were having coffee today, I would share that I have missed this space but also enjoyed a nice little hiatus over the Holidays. The past few months have been so busy for our family but in the very best ways. Madeline is really on the go these days - a running, skipping, walking, talking toddler who definitely gets her sassiness from her Daddy. We were so very busy over the holidays hosting several bunches of family and are only just now truly getting back into our regular routine thanks to a snow storm that caused us to miss a week of preschool. Corey splurged and bought me a new laptop for Christmas. We hadn't planned to do big gifts since we have been in the middle of a renovation to our house (you can check it out in the highlight reel on Instagram) but he caught me in frustrated tears more than once trying to use my ancient one for work. However, it took me until now to get all set up and going on my new computer because it doesn't have a USB drive for me to move over and access all of my files. That makes me feel so old putting that out there in words but I got the adapter I needed and spent some time getting my things organized then getting caught up on essentials. Now, I'm ready to get caught up on this little fun space, too.